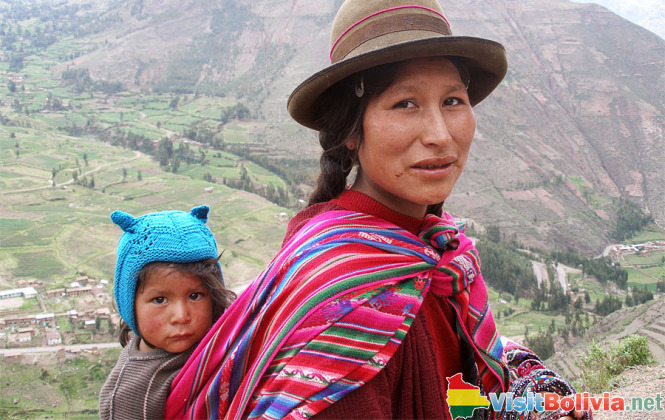 The Quechua makes up about a third of the population in Bolivia, with the language being one of the most widely spoken in the country as well. It is believed that the Quechua language actually spread in the Andean communities as a trade language long before the Incas adopted it, brought by the men and women who plied their wares and skills. When the Spanish conquistadors came in the 1500s, they banned the Quechua language and culture but this did not effectively kill its influences. Quechua culture is a strong culture still prevailing in most of Bolivia and South America - from the old Inca capital of Cuzco in Peru, Cochabamba in Bolivia to as far as the national capitals of Lima, Peru, and Quito, Ecuador. A profound and well known feature of the Quechuan culture is that its people place a strong emphasis on community and mutual help or reciprocity. They believe that if you help your neighbors, they will do something for you in return. Many Quechua influences and practices can be observed around Bolivia - farming techniques, food preservation and irrigation systems that adapt to the ecological demands of the varied Andean landscape and cold climates are still being practiced. Quechua-speaking groups have also built bridges and roads all throughout Andes and a lot of these routes are still in use today. Artisans from Quechua groups and communities are also renowned for producing high quality textiles and pottery and these can be found in handicraft festivals and markets around Bolivia.